The "Error Sending Request" error usually occurs when the license installer fails to download the Spybot program. For Windows Vista or XP, please download and install Spybot 2.4 from here. For Windows 7 or higher, please download and install the latest Spybot from here. and run the license installer again. 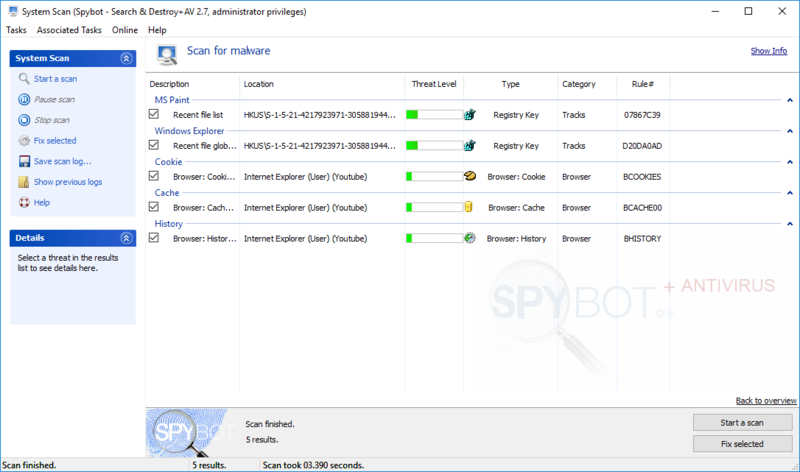 How to download & install Spybot – Search & Destroy? Choose a download location on our website. The displayed mirrors are partners who provide places to host Spybot - Search & Destroy for us. You can download from any of them, it is secure and they all contain the same data. After choosing the mirror for downloading Spybot, your browser should prompt you to save the installation file. Once the file has downloaded, run the spybotsd-2.7.64.0.exe file by double clicking on the file. Press Yes when prompted by the User Account Control to allow the installer to run. 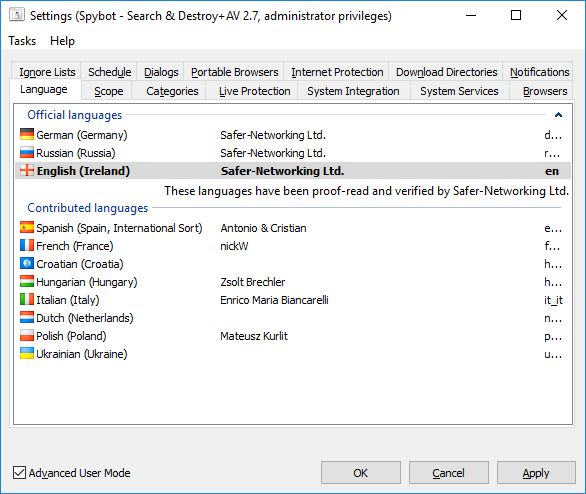 Select the desired language for the setup and the Spybot - Search & Destroy installation. 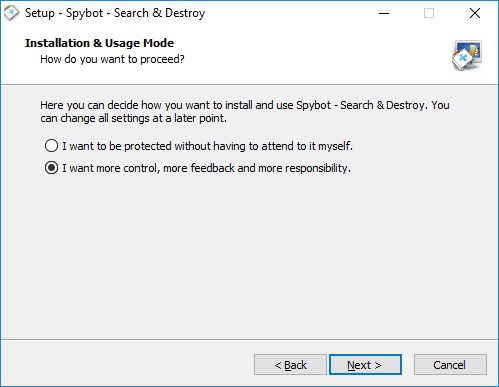 Select the 1st option for "..installing Spybot for personal use and will decide later." 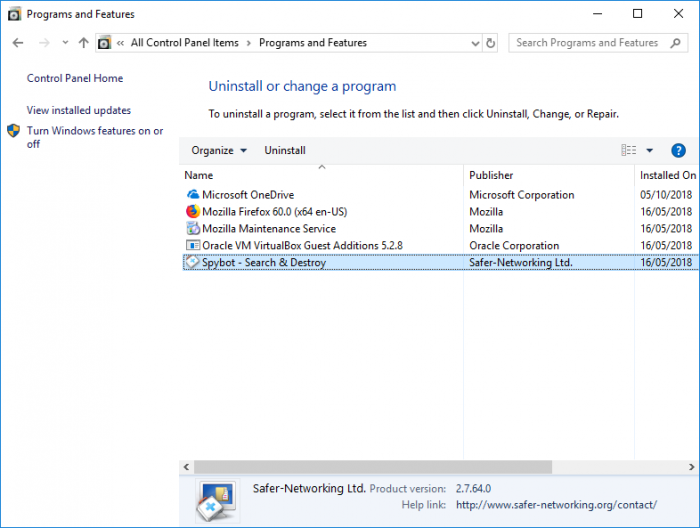 Clicking "I want to be protected without having to attend to it myself" will go through a full installation without any selectable options. 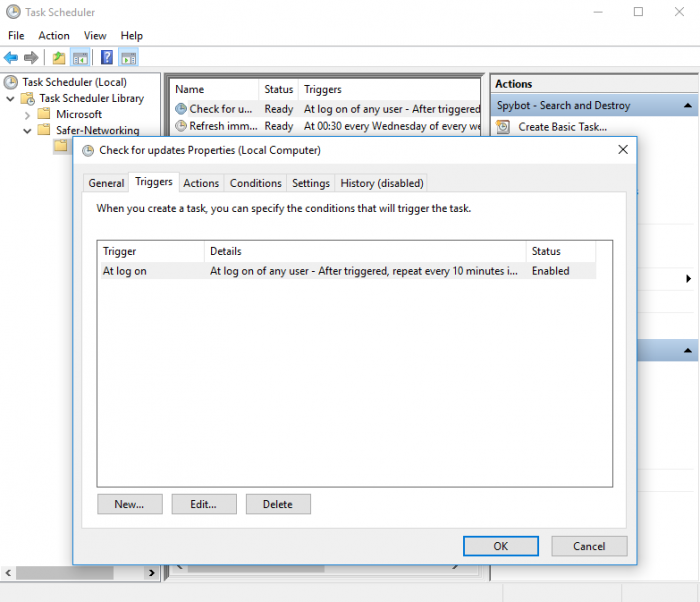 Clicking "I want more control, more feedback and more responsibility" will go through a custom installation and you will have the option to get more control during program operation. 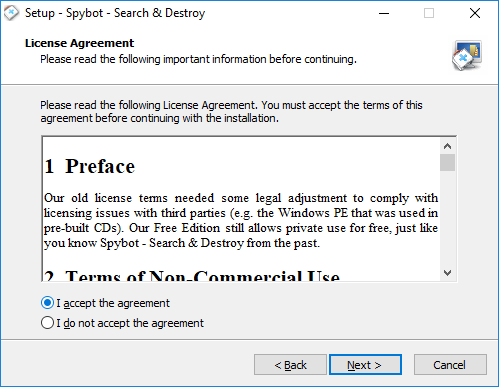 The next window is the Spybot - Search & Destroy license agreement. You must accept the license agreement to continue with the installation. The next window allows you select where Spybot - Search & Destroy will be installed. In the next window you can choose to create a Start Menu folder. Next you can choose what schedule tasks and system integration to install. The final window gives a summary of the selected items chosen during the installation. 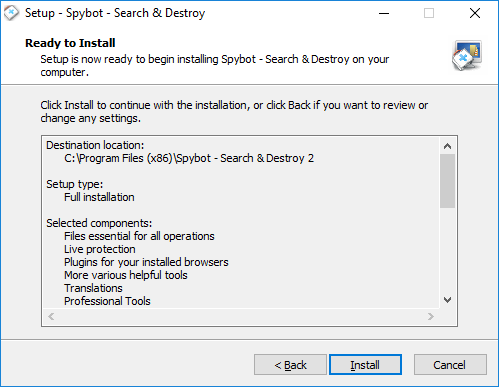 How to uninstall Spybot – Search & Destroy 2? Click on Small Icons in the View by dropdown menu. Scroll down to Spybot – Search & Destroy, click it, and then press Uninstall. This will open the uninstallation wizard. 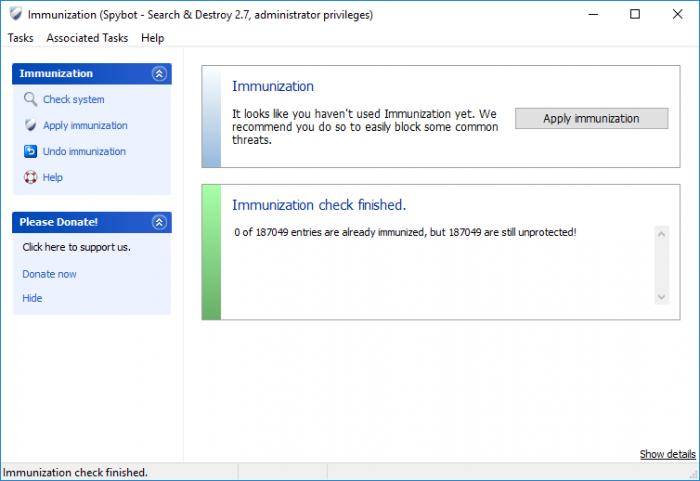 Before uninstalling Spybot - Search & Destroy, it is recommended to undo Immunization to avoid issues with the uninstallation process. It is also recommended to view Spybot’s Quarantine to restore any items you would like to keep that were detected by Spybot - Search & Destroy. Once Spybot is uninstalled, these files cannot be restored. Please note that the ProgramData folder is hidden. Open Windows Explorer (or any folder). Click on Organise, then go to Folder and search options. Click on View, then select Show Hidden Files, Folders and Drives. Then restart your PC for the changes to take affect. 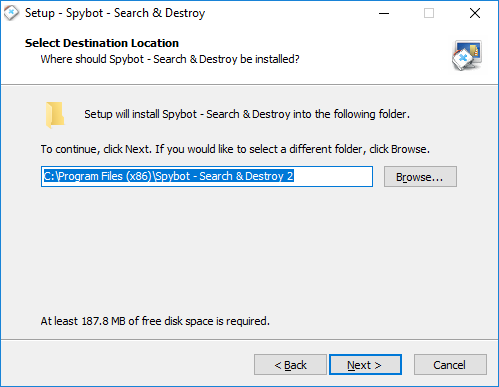 If you have installed Spybot - Search & Destroy recently, you may have noticed the appearance of a "Post Windows 10 Spybot-install" file on your Desktop after installation. This file was included in our updates for users upgrading to Windows 10. 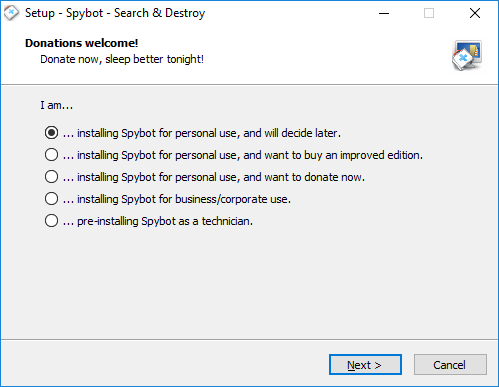 During the upgrade process, Spybot is likely to be uninstalled. It can be reinstalled by running this file, which will survive the upgrade process. If this method does not work for you, please see here for reinstallation instructions. If you do not plan to upgrade to Windows 10, this file can be deleted. You can get this file back if you need to by reinstalling Spybot - Search & Destroy. 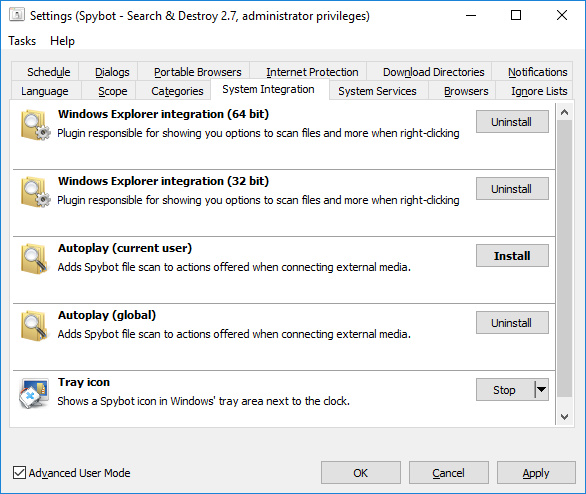 If you do plan to upgrade to Windows 10, or already have, you can run this file to install Spybot - Search & Destroy 2.5. Changes have been made to this version of Spybot to improve compatibility. If this does not work, please see here for instructions to reinstall Spybot. Malware sometimes uses rootkit technology to hide itself at system level. This makes it undetectable for standard tools. Our plugins help Spybot – Search & Destroy to detect this form of malware. Our Rootkit Scan tool shows anything that uses certain rootkit technologies. But items with rootkit properties detected here are not necessarily malware. Sometimes, legit software uses rootkit technologies to hide registration data or other information it does not want the user to see in any case. So please keep in mind that a Rootkit Scan only flags suspicious stuff, not identifying just bad stuff. If you get ‘No admin in ACL’ this thread in our forum should help explaining. If you are not sure about the found items, please ask for ‘help’ in our RootAlyzer Forum before you delete anything. The deletion is final and can not be recovered through the Quarantine. If you still want to remove the found items we strongly recommend to create a system restore point before doing that. Detected items were not removed after scan. How do I remove them? 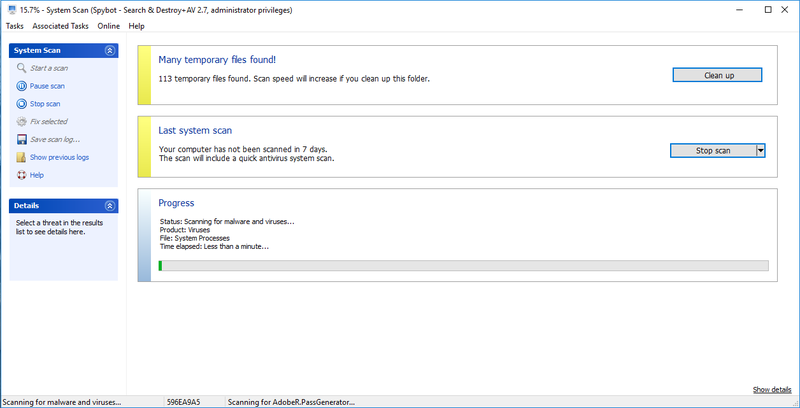 If the detected items were not removed by a System Scan, you can try to remove them again by running SDCleaner manually. Right-click the file SDCleaner.exe, file and choose the option to Run as Administrator. If the unremoved item is present in this list and it is not listed as "cleaned" you can select it and click on Remove Malware. If you wish to scan again, click on Rescan Detected. This will open up the System Scan Window and scan for all the items that were previously detected in a scan. When the scan is finished you can select Fix Selected in the System Scan window. Alternatively, you can try a scan in Safe Mode as the malware could be affecting the removal process. Reboot your PC. As it is restarting, hold F8 until a boot menu appears. In the boot menu, choose Safe Mode with Networking. You can then open Spybot - Search & Destroy as an administrator in this mode and perform another scan. Open Spybot by right-clicking on the Spybot - Search & Destroy icon and choosing the option to Run as administrator. Once you have scanned using Spybot - Search & Destroy, restart your machine through the Shutdown options. How to check my Spybot edition? Open the Spybot Start Center. Click on Show Details in the bottom right corner of the Start Center. Under the Spybot logo on the top left corner of the Start Center, you should see the Spybot edition written in blue writing. If you are a licensed user you should also have +ANTIVIRUS written in red writing. 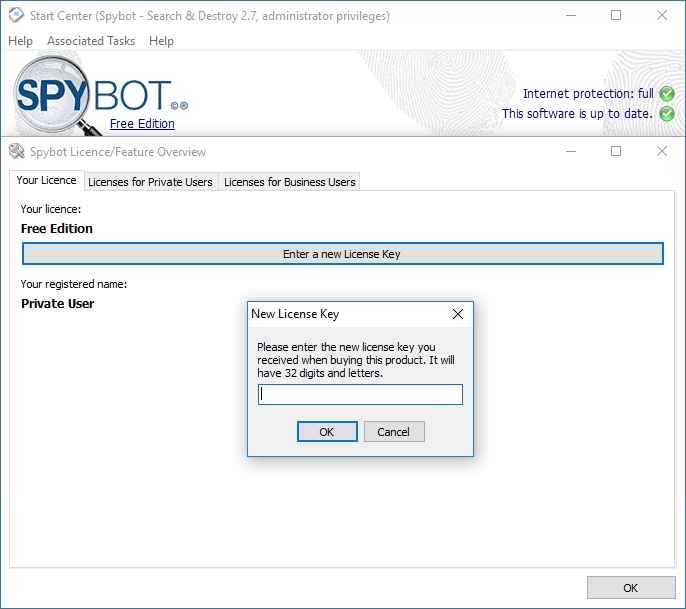 For more information on your Spybot Edition and License, you can click the blue writing which will open the License Overview window. How to open Spybot with Administrator privileges/as an admin? 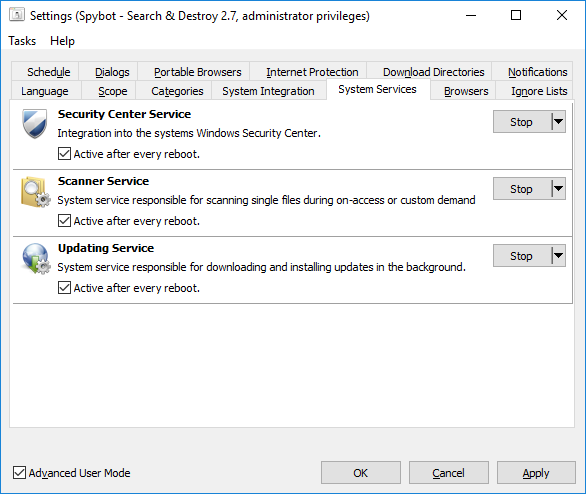 Windows may sometimes tell you that Spybot - Search & Destroy does not have the correct permissions to run on your system, or that you need elevated permissions to do so. Open Spybot - Search & Destroy by right-clicking on the Spybot icon and choosing the option to Run as administrator. This will require you to be signed into your PC using an administrator account. Administrator accounts, by default, do not run programs as an administrator as this could allow malicious software to have administrator permissions on your PC. How to perform a System Scan? 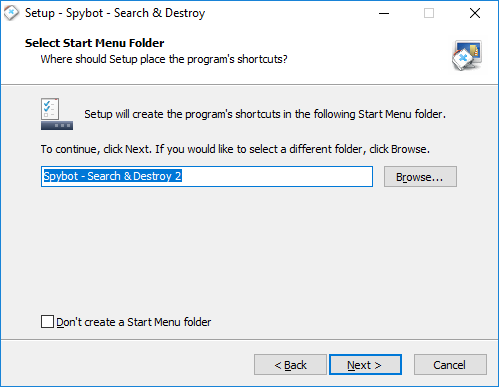 Open Spybot - Search & Destroy by right-clicking on the Spybot - S&D Start Center icon and choosing the option to Run as Administrator. Click on Scan System. This will open a new System Scan window and the scan will begin automatically. If you have not downloaded and installed any signature updates, the System Scan will not begin automatically and you will be required to install the latest definition updates. Once the updates have been installed, you can Start the System Scan. After the Scan has finished running you will see the Scan Results window. Here you can review the detected items and remove them by pressing Fix Selected. Once the scan has completed, click on Show Scan Results. This will then show all the detected threats on your machine. To remove these threats, press the Fix Selected button. When the items have been fixed, a green tick appears beside each entry. These items will be added to Spybots Quarantine. How to scan a file using File Scan? Open Spybot - Search & Destroy by right-clicking on the Spybot icon and choosing Run as Administrator. Click on Show details in the bottom right of the Spybot Start Center. Go to File Scan. This will open the File Scan in a separate window. Click on Add File(s). This allows you to pick which files to scan. You can then navigate to the desired file(s), and click Open. If you want to add more than one file from the same directory, hold the AltGr key on your keyboard when selecting the files, and then click Open. You can also scan a single file by right-clicking on the file, clicking on Spybot – Search & Destroy, and then clicking on Scan File. Note: Windows Explorer Integration must be enabled to use this option. A clean file shows a green tick beside the file in the results list. An infected file can be quarantined by clicking Remove Malware. How to scan all user accounts on my PC? Open the Spybot - Search & Destroy Start Center by right-clicking on the icon and choosing Run as administrator. This should scan all profiles and files that are selected in which permission is given for, independent of the current user. How to scan different drives on my PC? Open the Start Center, then click on Scan System. In the System Scan window, click Stop Scan if the scan has started automatically. This message will then change to Show Scan Results. Click the dropdown arrow beside Show Scan Results and select Scan with different options. 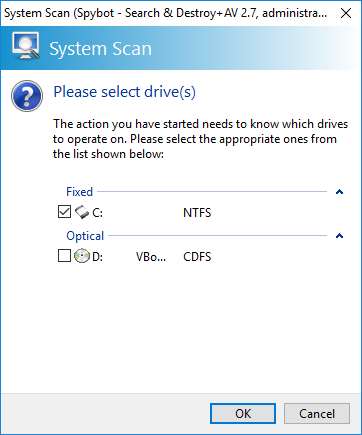 Here, you can choose to select/deselect any drives connected to your PC to include in the System Scan. 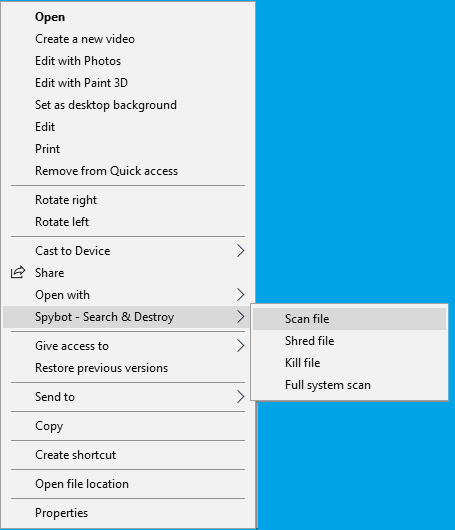 Navigate to the File/Folder/Drive, right-click on it, click Spybot – Search & Destroy in this menu, and then click Scan Folder. To use this option, System Integration must be enabled. How to schedule a System Scan? By default, the System Scan is set to run on the 1st of every month. Open Spybot's Start Center by right-clicking on the Spybot icon and choosing the option to Run as administrator. Go to Schedule, and click on Add beside the System Scan task. 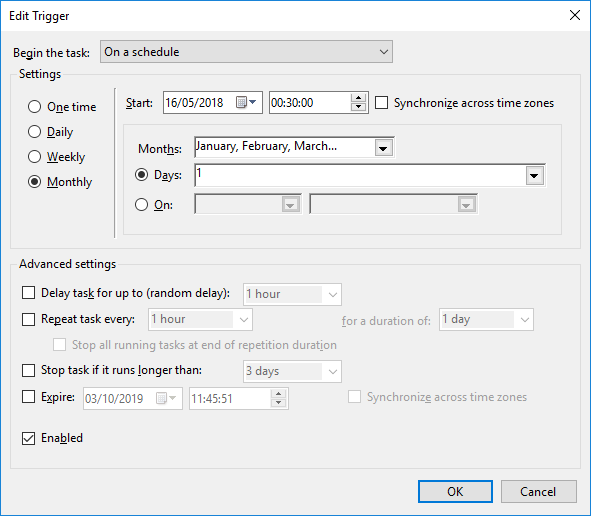 Click Edit (This will open up the Windows Task Scheduler). In the top left of the Task Scheduler, click on the small black arrow beside Task Scheduler Library. This will then show you subfolders of the Task Scheduler. Click on Spybot - Search & Destroy. 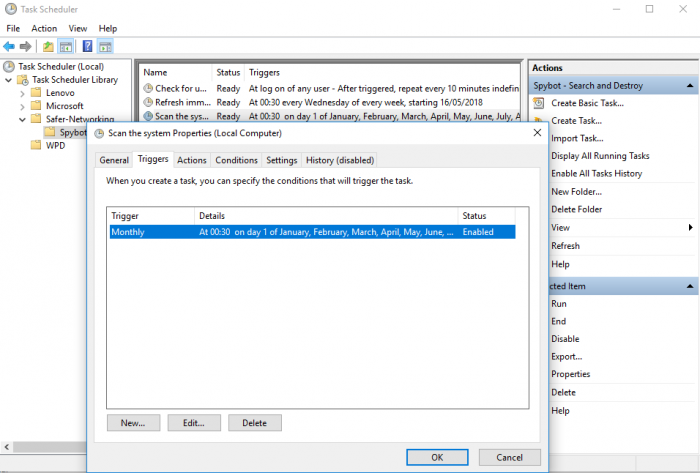 Right-click on the Scan the system task, and then click Properties. Go to the Triggers tab, and then click Edit. Here, you can set the parameters for when and how you want the scan to run. 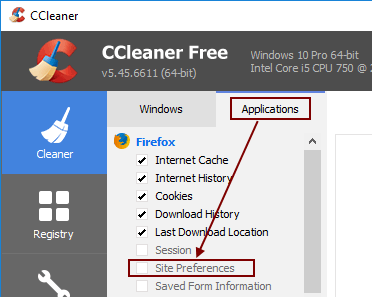 How to use the Temporary File Cleaner? The option to Clean Up Temporary Files appears in the system scan when there are 100 or more temporary files present. If there are less than 100 files present, the option is not visible in the System Scan window. If you chose to hide the Temporary file cleaner, it should reappear the next time there are 100 files or more. You can remove temporary files when this option becomes accessible again. How to view previous scan results? Right-click the file SDCleaner.exe and choose the option to Run as Administrator. This will then display the results of your last System Scan. 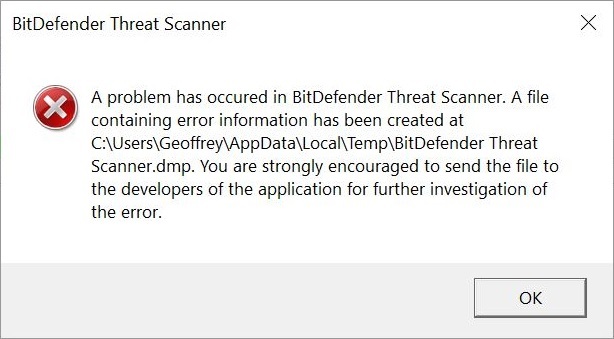 The System Scan did not detect any threats on my machine. What can I do? If the System Scan did not detect any items on your machine, it is possible that you have not installed all of the latest updates. In the Update window, click Update. If this does not work, please see here for instructions on updating Spybot. Once the update is complete, perform another scan with Spybot. Reboot your PC. As it is restarting, press F8 repeatedly until the boot menu opens. Once you have scanned using Spybot, restart your machine through the Shutdown options. If Spybot still cannot detect or remove this threat, it is likely that you have a new threat or a new variation of a known threat. We recommend consulting the malware removal section of our forum. Can Spybot scan / immunize portable browser installations? Portable installations, e.g. 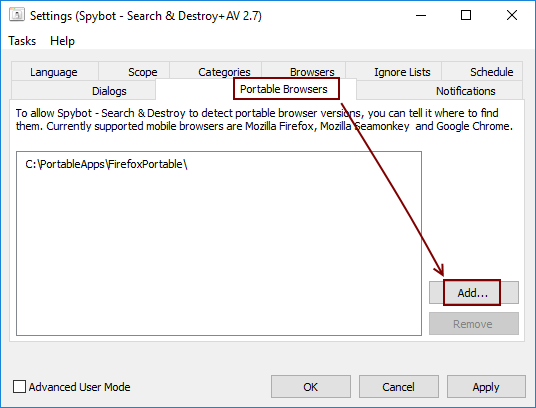 if you use PortableApps, can be added through Spybot's Settings window. Open Settings, switch to the tab Portable Browsers and click Add... to specify where your portable installation is located. Open Spybot’s Start Center by right-clicking the Spybot desktop icon then choose the option to Run as administrator. Click Check System to see if the current Immunization status and see if Immunization has already been performed. Press Apply Immunization to begin Immunization. Click on Show details for a more detailed overview of the items being Immunized. Please see here for more information if the immunization does not complete correctly. If you experience any issues accessing trusted websites after applying the immunization, this can be undone to see if it is affecting your access to the site/sites. Open the Spybot – Search & Destroy Start Center by right-clicking the Spybot icon and choosing the option to Run as administrator. In the Start Center, click Immunization. In the Immunization window, click Undo Immunization. The Immunization feature provides Internet Protection by preventing users from entering malicious, untrusted or potentially dangerous websites. This is done by adding a list of known malicious entries to the Windows hosts file. It also prevents tracking cookies from entering your system, and blocks known spyware installers (and similar baddies) already included in Spybot’s database. Why are some items still unprotected after performing Immunization? A path is not detected. The object is blocked by something; e.g. another security program. The user does not have appropriate rights to immunize an object. It is necessary to run the immunization with elevated privileges (as an administrator), otherwise the global immunization will fail. 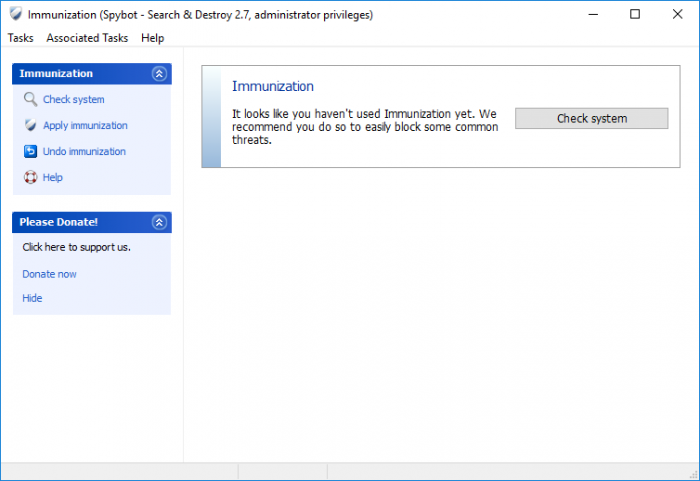 To ensure that Immunization is applied correctly, please disable all other security programs that you run and close all browsers and any other programs during the work with Spybot – Search & Destroy. 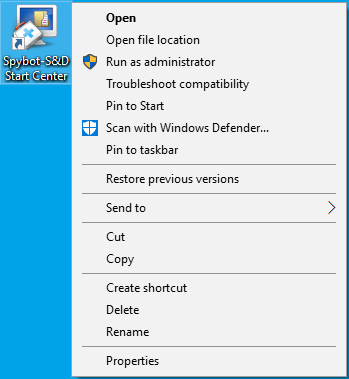 Open Spybot Start Center by right-clicking on the icon and choosing Run as Administrator. Click Check System, then click Apply Immunization. Are there special System Requirements for Spybot? 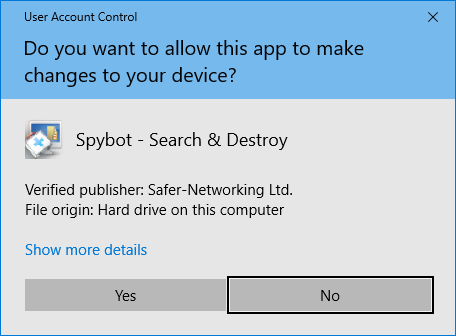 If your Windows works well on your computer, all you need is harddisk space of around 500 MByte for Spybot - Search & Destroy, 500 MByte for +AV (Antivirus) and less than 100 MByte for Spybot Anti-Beacon. Does Spybot conflict with other antivirus programs? In the case you are using another antivirus program that contains Live Protection, real-time Protection or some equivalent, this could be conflicting with Spybot’s Live Protection. To avoid conflicts that might arise in this case, please disable the Live Protection on either Spybot or your other antivirus program. Open Spybot by right-clicking on the Spybot icon and choosing the option to Run as Administrator. In the Start Center, click on Show Details then click on Advanced User Mode. Click on Settings then go to the Live Protection tab. Untick the checkbox for Scan programs before they start. Click Apply and OK, and restart Spybot for your changes to take effect. How to change the language in Spybot? Spybot – Search & Destroy supports different languages. You can easily switch to your favorite available language using the instructions below. Open the Spybot Start Center by right clicking on the Start Center icon and choose Run as Administrator. Click on Show details in the bottom right corner then tick the checkbox next to Advanced User Mode then click on Settings in the Start Center. You can also access it by right-clicking the system tray Spybot icon (the small Spybot 2 icon beside your system’s clock in the taskbar). You can then go to Advanced Tools → Settings. 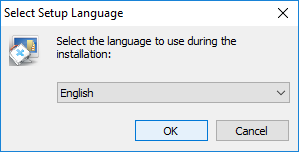 Once Settings has been opened, switch to the Language tab and click on the desired language. The language tab is one of the two tabs on the far left side of the Settings window. Choose your desired language from the available options. Click Apply and OK, and restart Spybot for your changes to take effect. 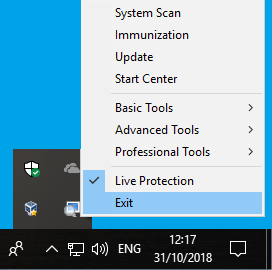 How to disable Live Protection? Open Spybot by right-clicking on the Spybot icon and clicking Run as administrator. Click on the Live Protection status in the Start Center. This will open the Live Protection Settings window. Untick the checkbox beside Scan all programs before they start. Click on Show Live Protection Advanced Controls. Click on Uninstall Live Protection. 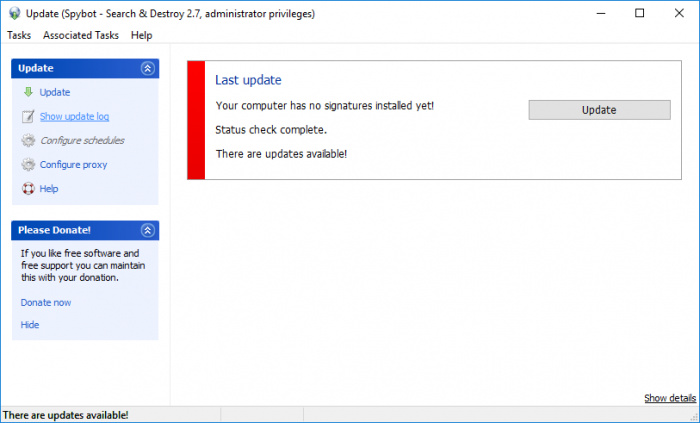 You may receive a message saying that "The Live Protection System Driver could not be deactivated/uninstalled. A reboot might be needed to completely deactivate Live Protection." You must restart your PC for the changes to take effect. After your PC has restarted, Live Protection should now be disabled. How to enable Live Protection? Click on the Live Protection status in the Start Center. This will open up the Live Protection Settings. If you see Live Protection is not installed, click on Show Live Protection advanced controls and click on Install Live Protection. If you receive an error message saying "Live Protection System Driver could not be installed", you will have to restart your PC in order to re-attempt the installation. Once you have restarted your machine, please open Spybot. You should see a dialog asking you whether or not to install Live Protection, here click Yes. If you do not see this dialog, go back into the Live Protection settings by pressing on the Live Protection status in the Start Center. 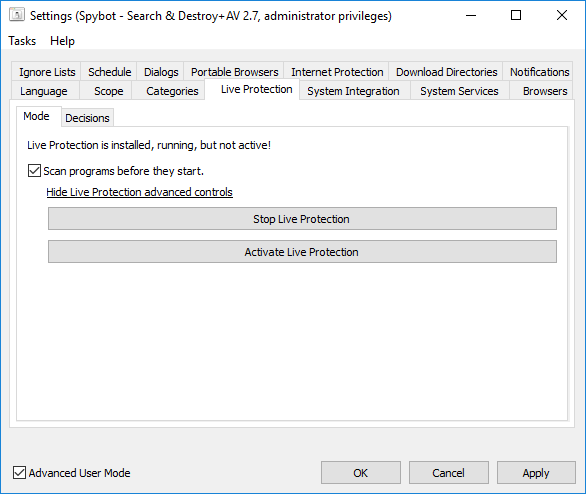 Click on Activate Live Protection. Live Protection should now be fully enabled. How to enable/disable System Services? Tick Advanced User Mode in the Start Center. Open Settings, then choose the System Services tab. Here, you will see the Security Center Service, the Scanner Service and the Update Service. These services should be enabled by default. Click the Stop button beside the service you would like to disable. To disable it permanently, you have also to untick the checkbox beside Active after every reboot. Enable a serviceClick the Start button beside the service you would like to enable. To keep it enabled after a reboot, also tick the checkbox beside Active after every reboot. Click Apply and OK then restart Spybot for your changes to take effect. 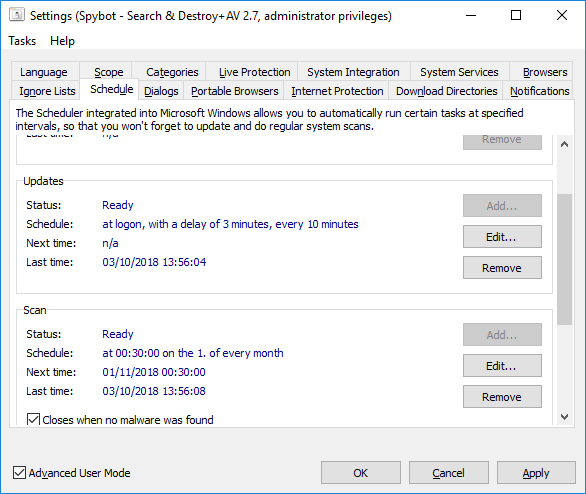 Is it possible to run Spybot and Windows Defender? 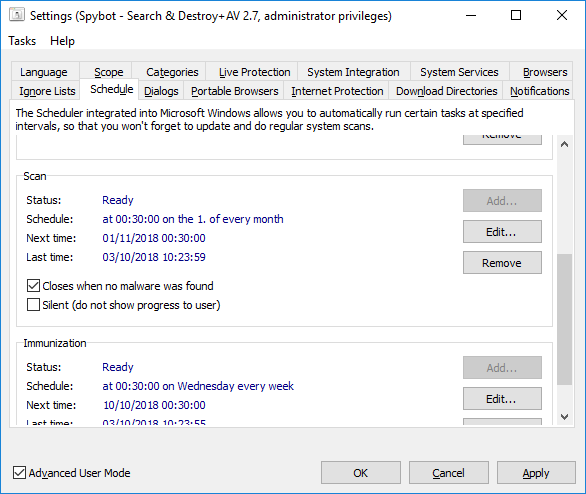 User of Windows 10 may have noticed that Windows Defender will stop running in Windows 10 when Spybot is installed. Windows will disable this program if it detects another antivirus program on your PC in order to prevent conflict between the multiple antivirus programs installed. The Free Edition of Spybot also falls into this category, because it contains antivirus components from the paid editions. 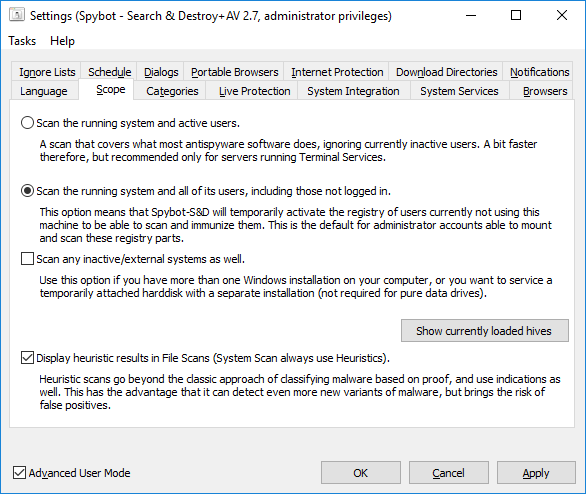 To fix this issue, please disable Spybot's Security Center Service using the instructions below, as this will prevent Windows from detecting Spybot as an antivirus program. Open Spybot by right clicking on the Spybot icon and click Run as Administrator. In Settings, go to the System Services tab. Here, click Stop beside the Security Center Service. After disabling the service and rebooting your PC, Windows Defender should function correctly again when it is run. However, the antivirus programs could now conflict and cause issues. To avoid this with Spybot, please also disable Live Protection/Real-Time Protection in either Spybot or Windows Defender. 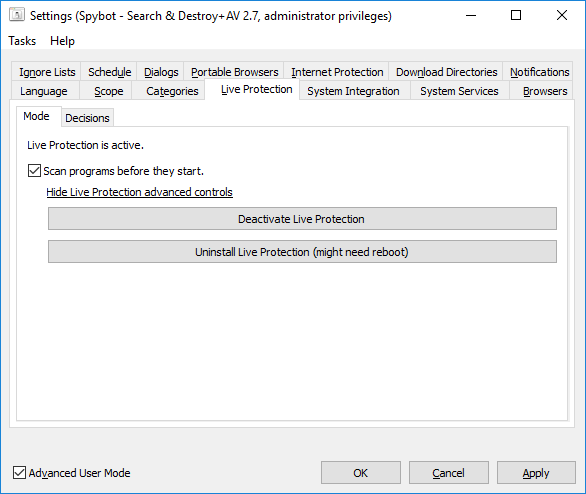 You can find instructions for disabling Spybot's Live Protection here. Why does Windows Explorer crashes on right-click? Click on Advanced User Mode then open Settings. 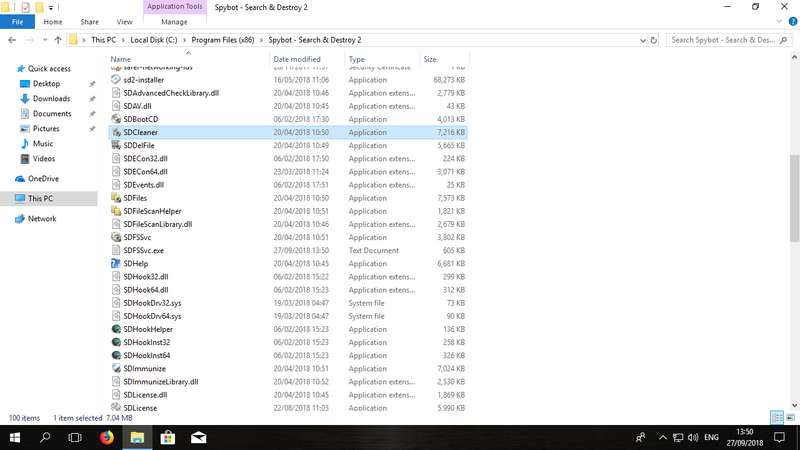 Go to the System Integration tab then click the Uninstall button next to Windows Explorer Integration. Click Apply and OK, and restart Spybot. 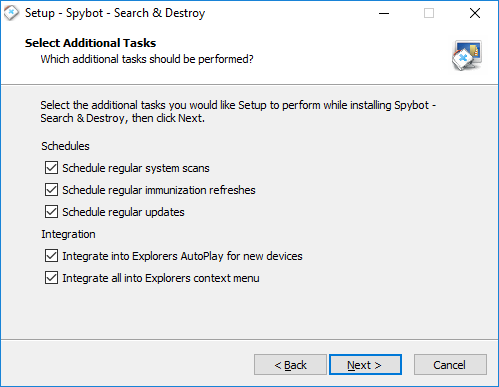 Why is my PC running slow after installing Spybot? This could possibly be caused by Spybot's Live Protection. This scans all programs before they start to prevent any infections or threats from entering your system. The benefit of this is that it keeps your system free from malware and other harmful threats. The downside is that Live Protection must scan all processes to keep your PC clean. This can cause your PC to open programs much slower. Please see here for instructions to disable Live Protection. If you have another AV program with real-time protection, you should disable either it or Spybot's Live Protection as running both at the same time can cause them to conflict with each other. If you receiving the following message when shutting down your PC, it is possible that one of Spybot's files has become corrupted and needs to be replaced. This issue has been resolved in the latest version of Spybot, and several other improvements have been made. You can download Spybot 2.7 from here. How to activate my new Spybot license? You will have received a link to your license installer by email. Please download and execute this installer. How to manually download updates for Spybot 2? You can download the manual update file from here. When you run this file, it will ask you to select a folder. The files will be added to the Includes folder within the Spybot program folder. Unfortunately it is not possible to download the Antivirus definitions manually. If you are unable to find a solution for your problem, please let us know. Please let us know each detail that will help us to reproduce your issue. That is e.g. a screenshot of the window showing the problem and any other error messages you receive. Also let us know what you have done before the message appeared, e.g. what you have clicked. It is recommended not to send photos made using a mobile phone. Only screenshots please. How to restart the update service? If you receive a message telling you that the Update Service has stopped, you must re-enable the service if you want Spybot to be updated automatically. Open Spybot by right-clicking on the Spybot icon, and choosing the option to Run as Administrator. Click on Show details in the bottom right corner of the Start Center then click on Advanced User Mode. Go to Settings then click the System Services tab. Here you can start the Update Service. Make sure you tick the check box that says Active after every reboot. How to schedule Updates in Spybot 2? 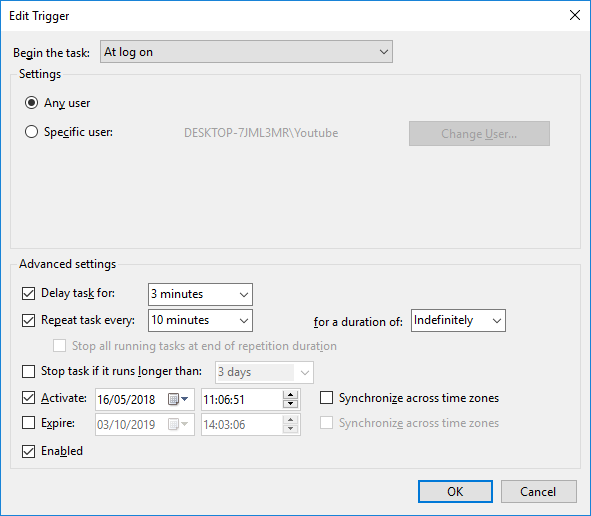 Note: Task Scheduling is only available in the licensed editions of Spybot. Go to Schedule, and click on Add beside the Update task. Right-click on the Check for updates task, and then click Properties. Here, you can set the parameters for when and how you want the updates to run. 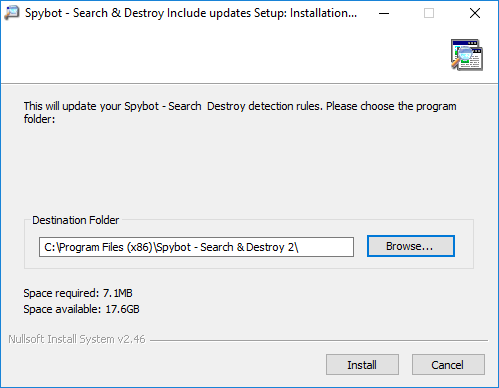 How to update Spybot – Search & Destroy? Before updating Spybot, you should disable any other security programs that are running real time protection which may interfere with the Spybot update, causing it to fail. In the Update window click the Update button to begin downloading the latest definition files. If a file(s) fails to download during the updates, please close the updater then open it again. After the status check is complete the update button will become active again. 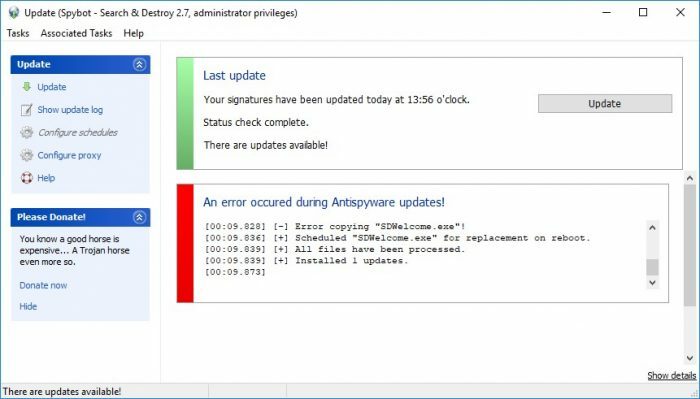 How to view the update log in Spybot 2? Open Spybot by right-clicking on the Spybot icon and click Run as Administrator. Click on Show details in the bottom right corner of the Start Center then tick the box beside Advanced User Mode. Click on Show Update Log. This opens the Update.log file. Why Cant I See the “Enter a new License Key” Button? If you cant see the Enter a new license key button, you must download and install the latest Spybot updates. If you see the above error message when updating Spybot, please close the Spybot Start Center then close the System Tray by right clicking on the System Tray icon and clicking Exit. You can then try to update Spybot again.